Maix Vending Ltd's Blog | ‘NEW’ Maxpax Cafe Caramel – Have you tried it yet ??? 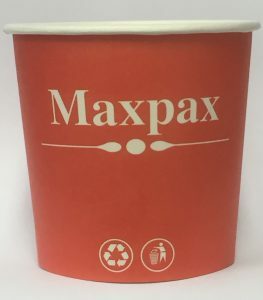 We major on Maxpax Incup Drinks, We stock all the available varieties. ‘NEW’ Maxpax Cafe Caramel – Have you tried it yet ??? NEW PRODUCT: Now available Douwe Egberts ‘PURE GOLD’ Freeze-dried Coffee in a Maxpax Cup. You are here: Home » MAXPAX INCUP DRINKS » ‘NEW’ Maxpax Cafe Caramel – Have you tried it yet ??? Maxpax Cafe Caramel is a brand NEW concept. A flavoured instant coffee taste with a great mouth feel and the lush Caramel flavour shines through to bring a New luxury drink to the range. You can indulge in a gently sweet Caramel Coffee warmth as you take a break from all the rushing around of life today. It costs the same as a Maxwell House Professional Cappuccino.